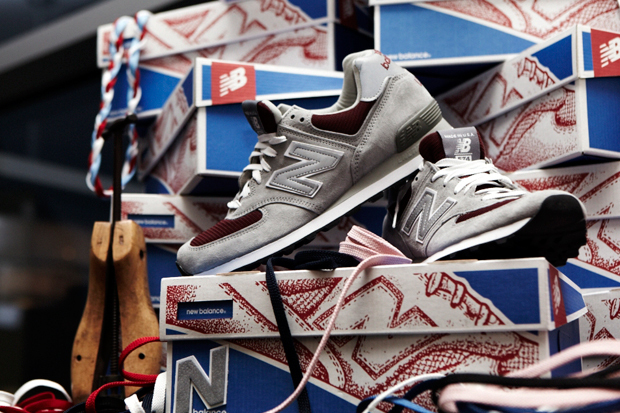 My Style Notes: New Balance. I am a big fan of New Balance kicks which is why I wanted to post the first photo from Elle Russia's April issue today. Coincidently, I also just found out that New Balance is launching a microsite today that allows you to custom design their 574 style. I customized a pair of Nikes a few years ago and still love them, so I am excited that New Balance is offering up the same opportunity. I don't believe the site is up and running yet, but if you're curious to read about the Custom 574 launch event you can find more info here.